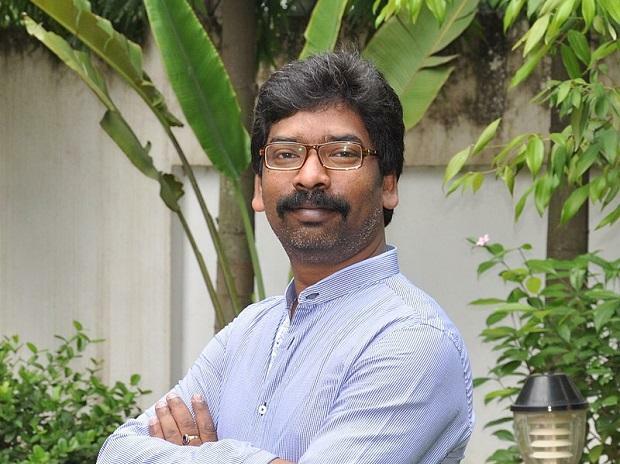 Referring to tribal Jharkhand, he said the ruling BJP there was working against the adivasis and "we must get rid of it"
JMM leader Hemant Soren on Saturday called for "uprooting" the BJP from the country and said the opposition parties to give a "fitting" reply to the "communal" party in the next Lok Sabha polls. Speaking at the mammoth united opposition rally hosted by Chief Minister Mamata Banerjee, Soren said the way BJP is running the country will create a "violent and disturbing time for the country." "We the opposition parties have to give a fitting reply to the communal reply to the communal forces ... We will have to uproot BJP not only from the Centre but also from the states," the former chief minister of Jharkhand said. "You are seeing a lot of opposition leaders here ... It is because of the present political situation in the country - how communal forces are gaining ground, how BJP is trying to run the country and the states. I feel this is a dangerous situation for the country," he said. Referring to tribal Jharkhand, he said the ruling BJP there was working against the adivasis and "we must get rid of it."" The country, he claimed, is aware of the violence that is being perpetrated by the BJP in Jharkhand, Gujarat and in other states, including Bengal. Soren urged the youth of the country to join in the efforts of the opposition parties to defeat BJP. "We have to give a fitting reply to the communal forces.